The Defenders Season 2: It’s the turn for Marvel’s The Defenders to return! The fans are waiting to catch up with the updates for the upcoming of the next season of The Defenders miniseries. Read out the article to know everything about it from premiere (air) date to spoilers, cast, trailer, etc. The series is just like every film in the MCU which leads to various Avengers team-up films. The new solo seasons of all characters are being announced which is making viewers wonder if the team-up series would ever get a release date. In a 2018 Reddit AMA, Marvel’s head of television Jeph Loeb shared that it is currently not in the plans, but you never know. It probably means that they are busy with other series and it might be possible only in the future. The Defenders Season 2: Is there a return possible? The Defenders highlights the climax of four different superhero series into one. It took many years of planning and plot to note down the points for series. It was in 2013 when Marvel revealed that it is working on a plan to bring Jessica Jones, Iron Fist, Daredevil, and Luke Cage in one. 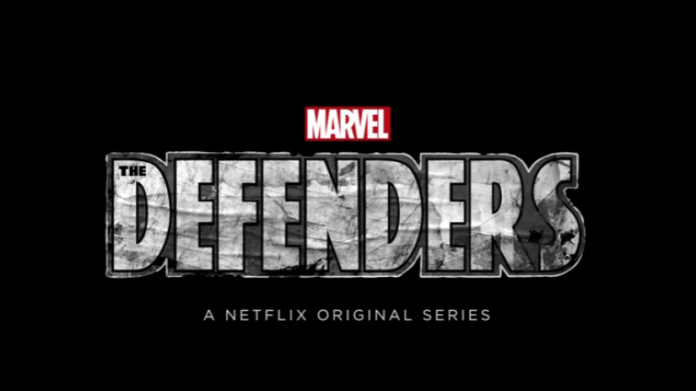 Within a short span of time, it was affirmed that the characters would crossover in The Defenders, which ultimately premiered on Friday, August 18, 2017. The first installment had 8 episodes in which NYC heroes were seen teaming up reluctantly to take The Hand down. It appeared in the Avengers style theme. The finale was filmed with Matt Murdock seemingly died following the crumple of Midland Circle. Though the very last scene featured his reappearance therein being intensely injured and swathed just under the care-taking of a nurse. How did Matt get down in that severely injured state and how did he reach to the nurse? These questions which will be raised out for Daredevil season 3, which is being worked upon along with new installments of other individual series. Moreover, it will be also considering a Punisher spin-off. Regardless of Marvel’s full slate, the audience is curious to catch up with a Defenders sequel. It would take more for the show to get its second installment due to two reasons. First one is that the original installment wasn’t well received by both the critics and the audience. It turned out to be one of the least watched MCU series. The second reason is that each individual character superhero is getting its new season. So, after all of them have released their upcoming installment, then it would make on to the cards. Season 2 of the American web television miniseries may take a while off considering the Marvel’s already engaged schedule. The studio is going to release the third installment of The Punisher series later this year. Currently, the production work for Jessica Jones Season 2 and Luke Cage Season 2 in the process. Moreover, both of them would be released in 2018. Daredevil series is ready to be filmed for season 3 in late 2018. Probably, it will be premiered in early 2019 and the second run of Iron Fist releases in September 2018. This sounds just like a dream come true to catch up with the hit series again in 2019. The audience might be thrilled after hearing the updates. According to Sarandos, The Defenders season 2 could be premiering lately until 2020. Is Sarandos stick around his wordings, things will demand some time to appear. This is taking up a huge time gap. But no doubt, the news for its upcoming is good enough to satisfy the fans right now. For the defenders season 2 release date and more updates and news hub, stay tuned!